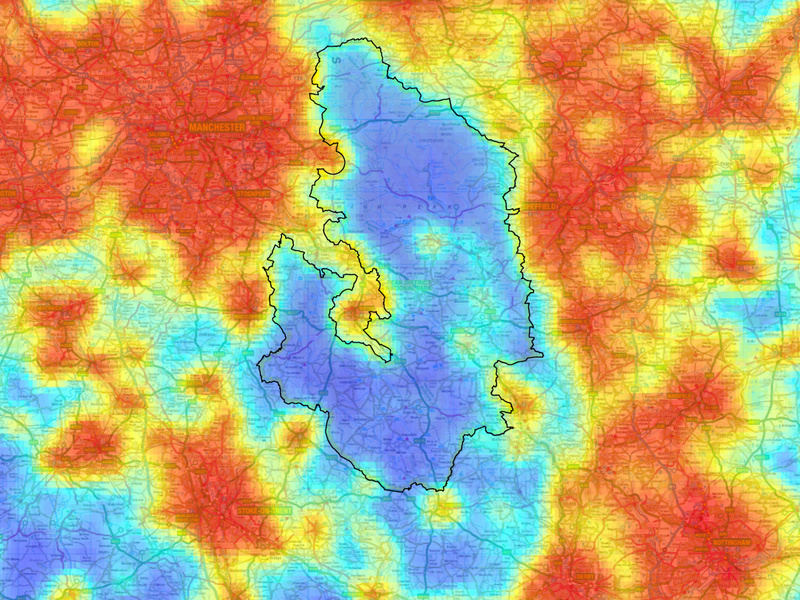 The map above shows the impact of light pollution in and around the Peak District National Park, in 2009. This map was generated using data obtained from a satellite orbiting the Earth, and has been adjusted to use artificial colour. 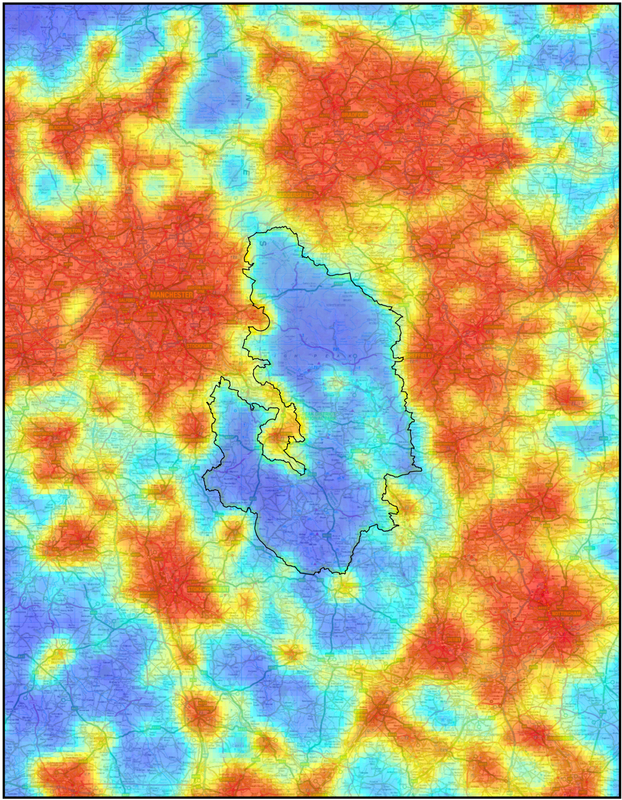 Even though approximately 16 million people live within an hour of the National Park boundary (outlined in black), it is apparent that it is an area that is relatively unaffected by light pollution, a result of the protection of this natural landscape. Click for a full-size image. Image credit: Peak District National Park Authority. The core components of the new Sky Quality Monitoring (SQM) device. The mount was made out of laser-cut 5mm acrylic then stuck together. Image credit: Daniel Brown/Nottingham Trent University. The Nottingham Trent team will present a new mount and operational platform carrying a Sky Quality Monitoring device (SQM), which operates autonomously, and can be used to map the sky without any specialist training. Fuller worked on its development for a final year project, with Dr Daniel Brown and Dr Rob Morris, both also at Nottingham Trent. The new monitoring system is based on a microcontroller and standard servo motors, and the data it gathers is stored on an SD card. Fuller and the team see it being used by for example national park rangers carrying out their work on site. Crucially, it is light enough to be mounted on a drone, which will take the device to inaccessible areas, making it a lot easier to create a comprehensive map. 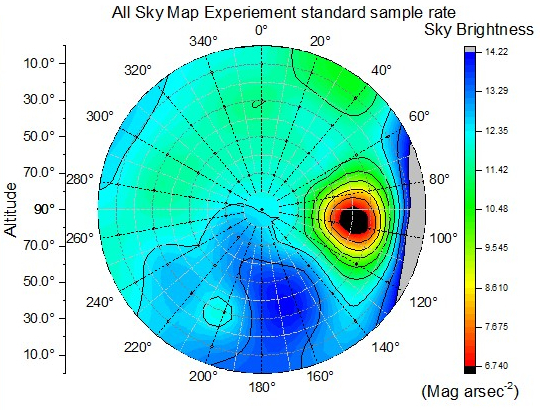 A sky map taken using the data collected from a calibration light source. The visualisation shows the distribution of light in one hemisphere and represents what is essentially a fish-eye view of the entire sky. Image credit: Ashley Fuller/Nottingham Trent University. 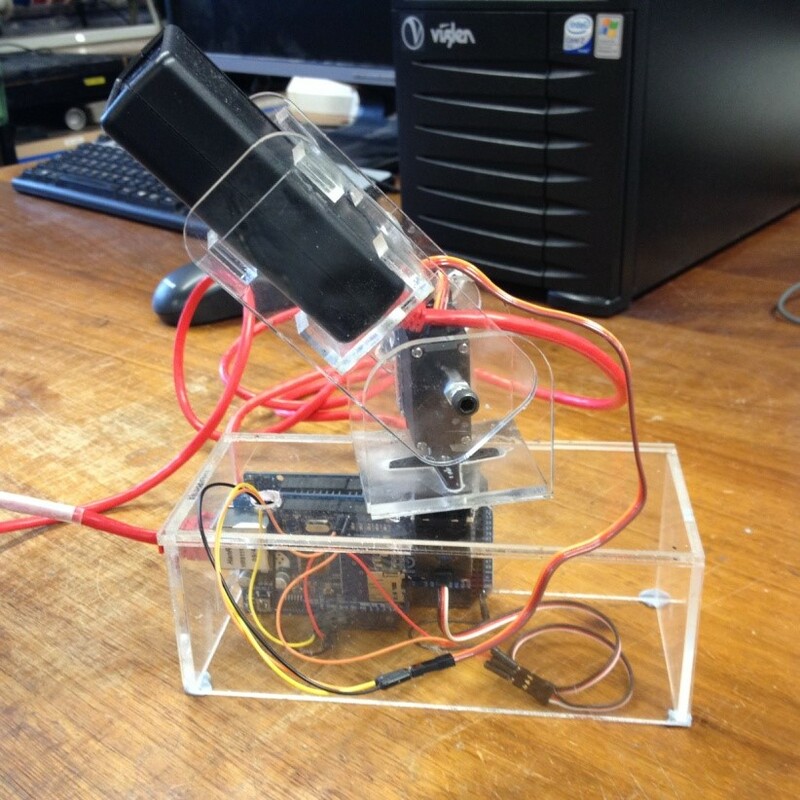 The team would like to see the new light pollution monitoring system, with its straightforward and low cost design, being taken up by schools and colleges. As an astronomy project, it could inspire young people to develop the skills in IT, electronics and physics that are needed for sustainability and that are so much in demand in the wider economy. Around half of the star formation in the local universe arises from minor mergers between galaxies, according to data from the Sloan Digital Sky Survey. Disruptions to the shapes of spiral galaxies, caused by interactions with their smallest neighbours, points to increased star formation. 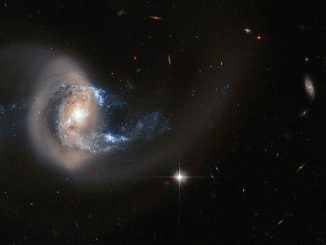 Evidence suggests that minor galactic mergers are therefore important drivers of galaxy evolution. 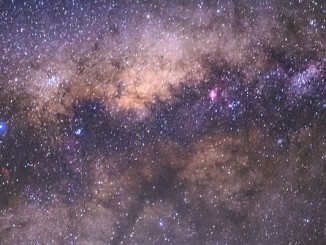 A fossilised remnant of the early Milky Way harbouring stars of hugely different ages has been revealed by an international team of astronomers. 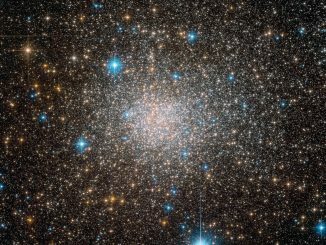 Terzan 5 resembles a globular cluster, but is unlike any other cluster known. It contains stars remarkably similar to the most ancient stars in the Milky Way and bridges the gap in understanding between our galaxy’s past and its present.